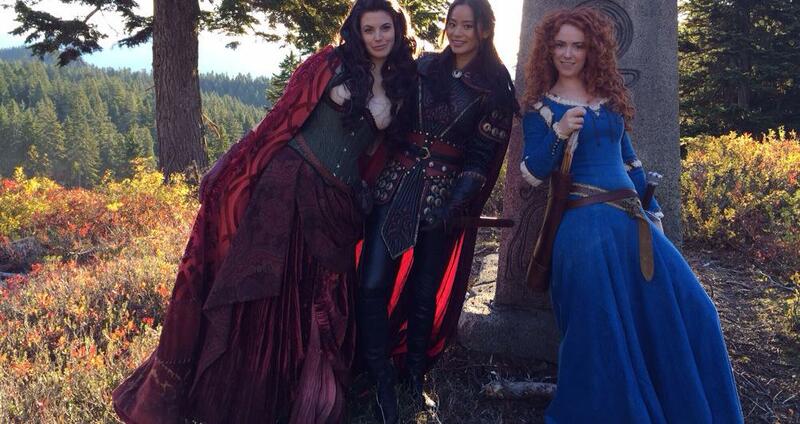 Merida, Red and 뮬란. . HD Wallpaper and background images in the 원스 어폰 어 타임 club tagged: photo once upon a time season 5 merida red mulan bts 5x08. This 원스 어폰 어 타임 photo might contain surcoat and 외투.